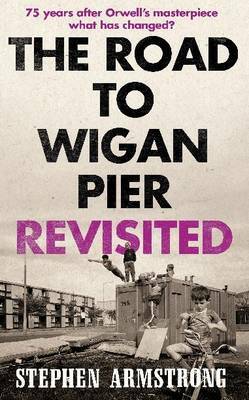 Stephen Armstrong’s searing exploration of social injustice, inequality and the state of the nation published to co-incide with the 75th anniversary of the original publication of The Road to Wigan Pier. 75 years after George Orwell’s classic expose on life in the North, Armstrong returns to find that many things have changed, but not always for the better…. Here he finds how young girls go missing because of the intransigence of the benefits systems, how fragile hope can be in the face of poverty and why the government stands in the way of a community helping itself. In his journey, taking in Bradford, Sheffield, Liverpool and Wigan, Armstrong reveals a society at the end of its tether, abandoned by all those who speak in its name. Available from all good bookshops – as well as Amazon (and no, I’m not on commission).